Jacksonville, FL: In an effort to offer more educational choices to the families of Duval County, Seaside Schools Consortium, Inc. is pleased to announce that it will expand its innovative, “A” rated, high-performing Charter School. The expansion will more than double enrollment, add grades 6 through 8 and will allow for a new facility on 2100 Dunn Avenue in North Jacksonville. Seaside Schools also is pleased to announce our principal at the Dunn Avenue location will be Angela Lott. Ms. Lott is a Raines High School graduate and has over 25 years of experience as a principal in Duval County. She holds a Masters degree in Education Leadership and a Bachelor of Science in Early Childhood and Elementary Education. Seaside Schools is thrilled to have this experienced educator and Jacksonville native join our schools. The Florida statutes that oversee Charter Schools allow successful, high-performing schools to expand in size, grades, and to other locations. In February, Seaside’s Board notified Superintendent Greene of their intent to expand. The expansion will allow Seaside to continue to provide innovative educational choice to families in North Jacksonville. Seaside had also proposed the North Jacksonville Campus through a separate high performing charter replication application. This was done in an effort to work more collaboratively with District Staff, as we have always done in the past. Seaside Schools Consortium, Inc. is a not-for-profit 501(c)(3) tax exempt organization with a Board of Directors comprised entirely of local volunteers. Many of the board members are local business people, former educators, and/or parents of students trying to make a difference, and provide educational choice for their children, and other families in the Jacksonville community. 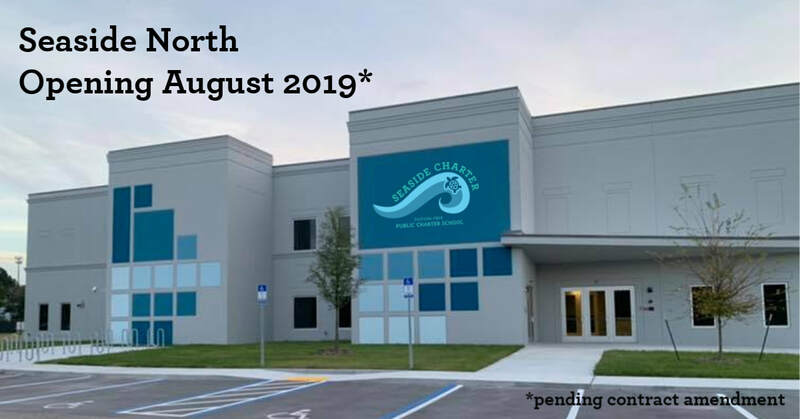 Ronald J. Harnek, Seaside’s Board President, states, “for more than a year, Seaside representatives have been in discussion with community leaders, and educators, in North Jacksonville who strongly support opening an innovative Charter School in their community. Seaside is very excited to be taking this step and helping to provide families with educational choices for their children, where none exist today”. About Seaside Charter Schools: Seaside Charter School﻿​s, administered by the Seaside School Consortium, offer tuition-free public charter schools with rigorous arts and science infused, standards-based curriculum inspired by principles of Public Waldorf Education.